4x4 UTV Accessories is your direct online source for everything related to ATV, UTV & Sidebysides. Whether you need a winch, windshield, cab enclosure, bumper, hard top, lift kit, camoclad, stereo console, hitch, mounting plate, hid conversion kits, lighting, d.i.y. spray on bed liner kit, heavy duty offroad axle upgrades, bed covers, plastic hard tops, aluminum diamondplate hard tops, roll cage & rear seat kits, hunting accessories, hood racks, roof racks, center consoles, rumble seats, fender flares, cv boot guards, skid plates and so much more. or Call 407-704-1300 and save today! 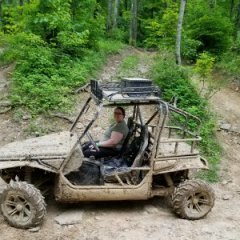 Looking at getting a windshield and roof for a Ranger 500. OEM or aftermarket?